The Parish of Albrighton serves a mainly rural area and there is a close and longstanding relationship with the Parish of Leaton and a regular pattern of shared worship regularly takes place.There is eucharistic worship from CW1 on the first and third Sundays of each month. 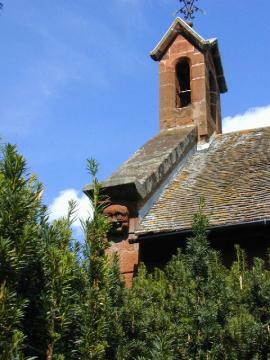 The Parish Church of St John the Baptist was built in 1840 from local red sandstone. A driveway to a large carpark has been added behind the church, which has helped visitors immensely. Links are being forged with local hotels - Albright Hussey and the Albrighton Hotel; especially for weddings and festival services.